bichonpawz: PSA: TICKS! We Need to Get The Word OUT!! 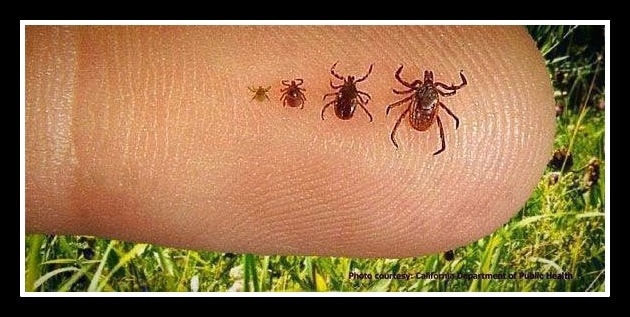 PSA: TICKS! We Need to Get The Word OUT!! As much as I really wanted to write this post about the subject of ticks...and how it is SO important that we talk about it, protect our pets, and PREPARE for these little buggers...I did not want to start my post out with an ugly photo of a tick! I am particularly concerned about ticks this year because we had a terrible time with Ticks last year at the cottage. Chloe tested positive for Lyme Disease. I felt just terrible for her and I know she did not feel well at all for a very long time. I try to go the homeopathic route as much as possible with the girls, but there are times when I absolutely have to rely on my vet's expertise. My vet told me...in no uncertain terms...to immediately put her on something stronger than what I was using...which was a homeopathic remedy for ticks. So, before we head south, I will be applying Advantix on both of the girls this year. I cannot bear for Chloe or LadyBug to go through a bout with Lyme this year. Ticks can be as lethal as venomous snakes!! We need to get the word out about ticks and the diseases they carry! It will be summer soon!! Here is a simple homemade solution! For pets, add 1 cup of water to a spray bottle, followed by 2 cups of distilled white vinegar. To make a repellent that will also deter fleas, mix in a few spoonfuls of lemon juice, citrus oil or peppermint oil, any of which will repel ticks and fleas while also creating a nicely scented repellent. Spray onto your pet's dry coat, staying away from sensitive areas including eyes, nose, mouth, and the genital area. When outdoors for an extended period, spray this solution on two to three times per day. 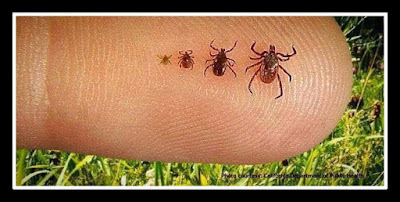 every four hours to keep ticks at bay, and examine your skin and hair when back inside to make sure no ticks are on the body. We must get the word out about the dangers of ticks and how to avoid them! I just saw on facebook yesterday about ticks and the DIY repellants. I heard that they are supposed to be really bad this year. I tested positive for Lyme Disease too. We have to be supercareful, Chloe! Hailey had one tick once. We will talk to our vet about it next time we see him (which is just in a few weeks). I've never got ticks, butts we have never had a rainy winter like this since I've been alive, so Ma is putting a tick med in my routine! Ma would use this remedy, butts she is SUPER sensitive to the smell of vinegar, and while she loves it in her food, the smell makes her gag! I knows, weird. she can't even use vinegar to clean! She still smells it even after it dries for hours ~ and that is WITH the essential oils in it! Anyhu, you guys take care and NO TICKS for you gurls!